Level9News.com is an independent, pro-liberty, pro-free speech platform that does not associate with organizations or entities that censor, distort, divert or conceal public domain information or other forms of data which can expose corruption, oppression, and tyranny. No visitor to this website should feel intimidation from nefarious sources. Any and all suspicions of covert monitoring and digital espionage will be investigated and inevitably detected. Virtual harassment of Level9News.com ownership and operators will be exposed and made known to the public domain community and appro priate press outlets. Level9News.com reserves the right to block any IP address that abuses bandwidth usage. Threats against Level9News.com ownership, web team, and site readers will be investigated and IP address sources exposed to the public domain. Level9News.com is not affiliated with any political party or non-governmental organization and will reject any attempts to lure Level9News into partnership. This website is protected by all local, national, and international laws that apply to the enforcement of human rights and freedom of information. Original content is available for public viewing and discussion. All videos featured on Level9News.com are created by DJ from research material or from shared sources which have given permission to feature content on Level9News.com | Audio of appearances made on podcasts, live terrestrial radio or Internet streaming is the property of the host program’s ownership. Donations are accepted to assist in the continued online presence of Level9News.com by covering operating costs. Occasional promotion of technology-enhancement/protection will be featured on Level9News.com in graphical form. Occasional promotion of literary publications for the enhancement/protection of personal or community well being will be featured on Level9News.com in graphical or written form. 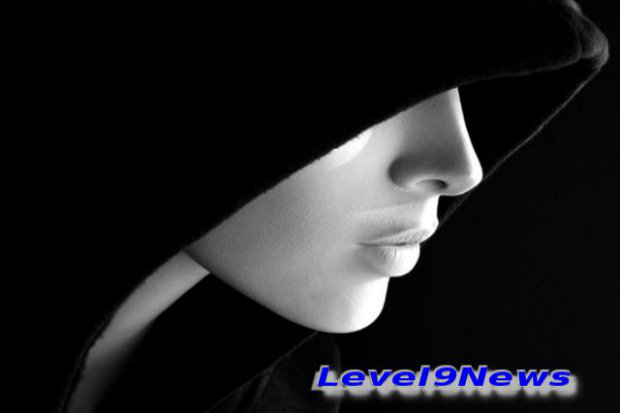 Duplication of Level9News.com correspondence requires legal consent from this website’s ownership. Once an attempt is made to contact Level9News.com through the use of email or other online messaging tools. Level9News.com has taken every precaution to insure the privacy and/or anonymity of it’s viewers and members and is not responsible for the unknown interception of data. Level9News.com reserves the right to reject forwarded files. Level9News.com believes in a common sense approach to advance understanding and unrestricted thinking. Defamation, slander, and plagiarism will not be ignored and will not be left without challenge. THERE IS ALWAYS something/someone watching, listening, plotting. Total privacy does not exist when using communication networks or devices. THE SAME technological means are available to you – which are used against you. Learn, wield the tools to defend your property, your life; all the people and things that you care about. You must not use this website in any way that causes, or may cause, damage to the website or impairment of the availability or accessibility of www.Level9News.com or in any way which is unlawful, illegal, fraudulent or harmful, or in connection with any unlawful, illegal, fraudulent or harmful purpose or activity. You must not conduct any systematic or automated data collection activities on or in relation to this website without the express written consent of www.Level9News.com. This provision excludes the use of RSS feed from the Level9News site. You must not use this website for any purposes related to marketing without the express written consent of www.Level9News.com. Access to certain areas of this website is restricted. Level9News reserves the right to restrict access to certain areas of this website, or at our discretion, this entire website. Level9News may change or modify this policy without notice. If Level9News provides you with a user ID and password to enable you to access restricted areas of this website or other content or services, you must ensure that the user ID and password are kept confidential. You alone are responsible for your password and user ID security. Level9News may disable your user ID and password at their sole discretion without notice or explanation. You grant to Level9News a worldwide, irrevocable, non-exclusive, royalty-free license to use, reproduce, adapt, publish, translate and distribute your user content in any existing or future media. You also grant to Level9News the right to sub-license these rights, and the right to bring an action for infringement of these rights. Your user content must not be illegal or unlawful, must not infringe any third party’s legal rights, and must not be capable of giving rise to legal action whether against you or Level9News or a third party (in each case under any applicable law). Level9News reserves the right to edit or remove any material submitted to this website, or stored on the servers of www.Level9News.com, or hosted or published upon this website. Level9News‘s rights under these terms and conditions in relation to user content, does not undertake to monitor the submission of such content to, or the publication of such content on, this website. This website is provided “as is” without any representations or warranties, express or implied. Level9News makes no representations or warranties in relation to this website or the information and materials provided on this website. These limitations of liability apply even if Level9News has been expressly advised of the potential loss. matter which it would be illegal or unlawful for Level9News to exclude or limit, or to attempt or purport to exclude or limit, its liability. By using this website, you agree that the exclusions and limitations of liability set out in this website Terms Of Service are reasonable. You accept that, as a limited liability entity, Level9News has an interest in limiting the personal liability of its officers and employees. You agree that you will not bring any claim personally against Level9News‘s officers or employees in respect of any losses you suffer in connection with the website. Without prejudice to the foregoing paragraph, you agree that the limitations of warranties and liability set out in this website disclaimer will protect Level9News‘s officers, employees, agents, subsidiaries, successors, assigns and sub-contractors as well as Level9News. If any provision of this website Terms Of Service is, or is found to be, unenforceable under applicable law, that will not affect the enforceability of the other provisions of this website disclaimer. You hereby indemnify Level9News and undertake to keep Level9News indemnified against any losses, damages, costs, liabilities and expenses (including without limitation legal expenses and any amounts paid by Level9News to a third party in settlement of a claim or dispute on the advice of Level9News‘s legal advisers) incurred or suffered by Level9News arising out of any breach by you of any provision of these terms and conditions, or arising out of any claim that you have breached any provision of these terms and conditions. Without prejudice to Level9News‘s other rights under these terms and conditions, if you breach these terms and conditions in any way, Level9News may take such action as Level9News deems appropriate to deal with the breach, including suspending your access to the website, prohibiting you from accessing the website, blocking computers using your IP address from accessing the website, contacting your internet service provider to request that they block your access to the website and/or bringing court proceedings against you. Level9News may revise these terms and conditions from time-to-time. Revised terms and conditions will apply to the use of this website from the date of the publication of the revised terms and conditions on this website. Please check this page regularly to ensure you are familiar with the current version. Level9News may transfer, sub-contract or otherwise deal with Level9News‘s rights and/or obligations under these terms and conditions without notifying you or obtaining your consent. These terms and conditions will be governed by and construed in accordance with the laws of Maricopa County, Arizona, USA and the State of Arizona, USA, and any disputes relating to these terms and conditions will be subject to the exclusive jurisdiction of the courts of Maricopa County, Arizona, USA and/or the State of Arizona, USA.